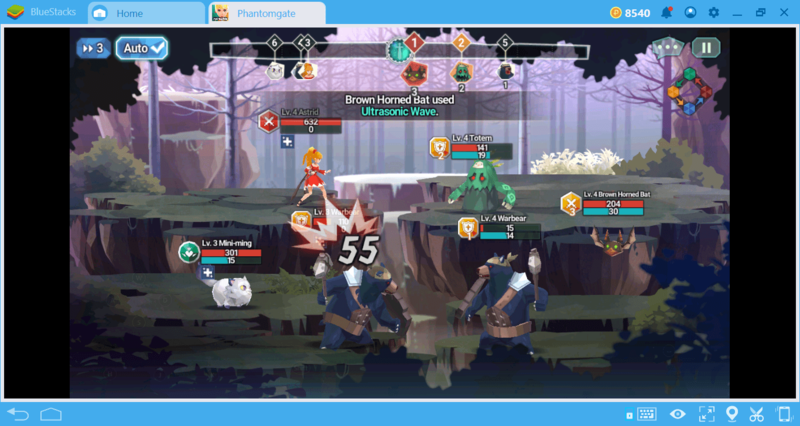 In the other guides we have prepared for Phantomgate: The Last Valkyrie, we talked about the importance of establishing a balanced team. If you don’t have a hero from every role in your party, you may have difficulty completing the battles. So, how do you do that? What are these roles? What do you need to pay attention to build an ideal and balanced team? You can find answers to all these questions in this guide. 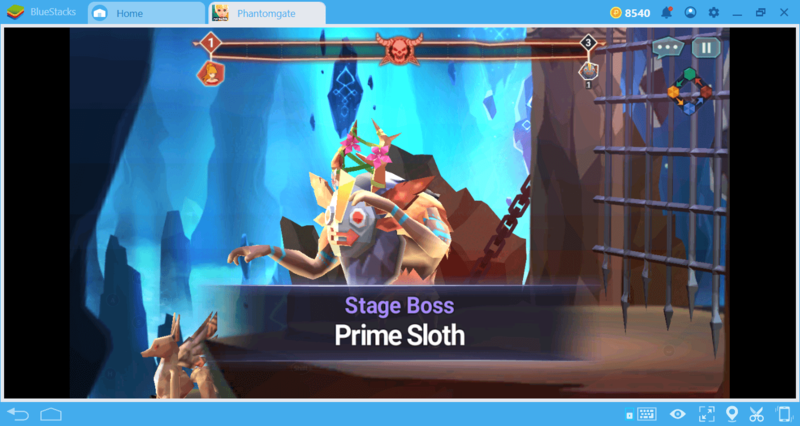 Each Phantomgate team (or party) can consist of one main hero and three phantoms. The main hero must always be in the team but you can choose the phantoms freely. 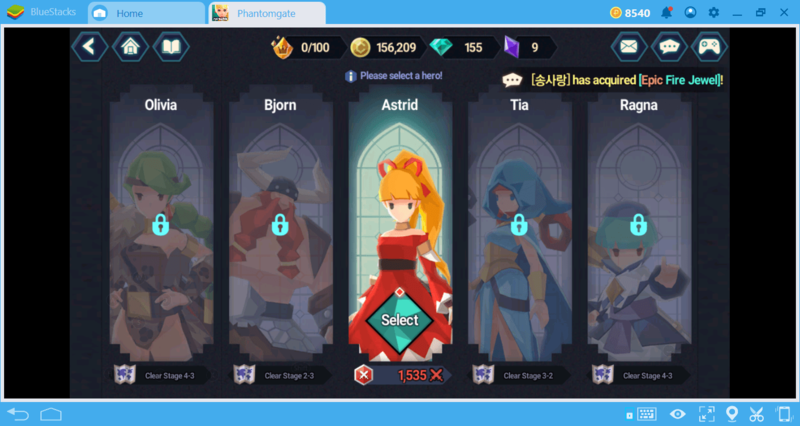 Astrid will be the only hero you can use until Chapter 2. But then, you can also choose from other main heroes. 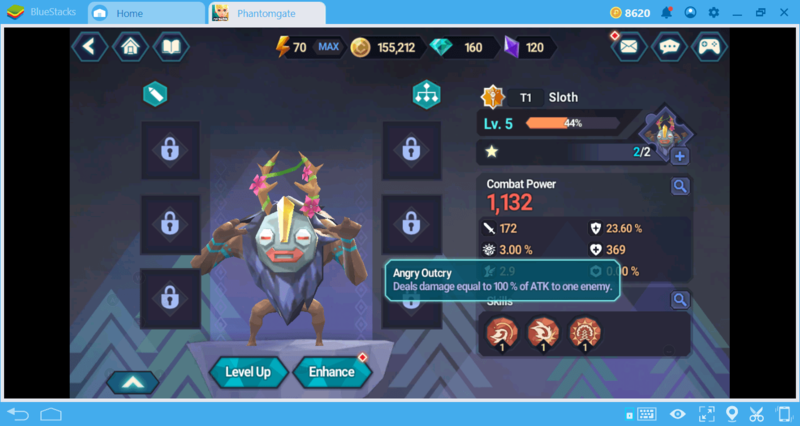 Tank: Tanks have increased health and armor points. Enemies primarily attack them. As long as the tank is alive, other characters are not affected by attacks. The only exception is the AOE (area of effect) attacks, but they occur rarely in Phantomgate. Damage Dealer: Can be ranged or melee. As the name suggests, their only task is to do as much damage as possible. Healer: Their attack and armor points are quite low. However, they have the ability to buff all other characters and renew their health points. 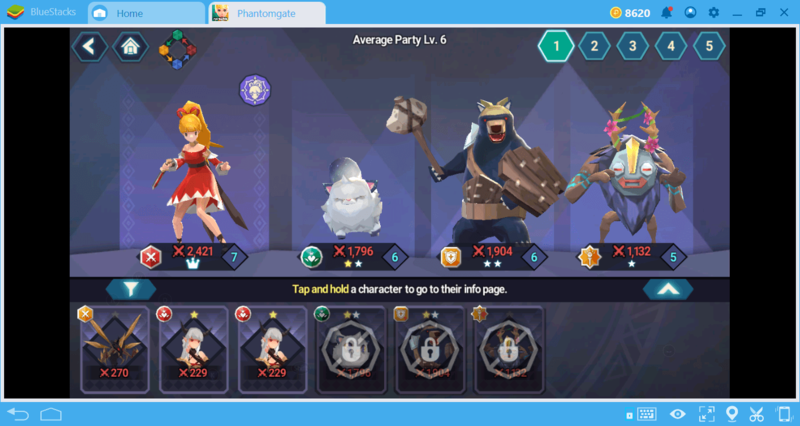 This is the secret of creating the ideal team setup in Phantomgate: Your party must have heroes of each of the roles listed above. A team without a tank will die almost instantly. A team without a healer cannot survive until the end of the battle. A team without damage dealers can do almost no damage to enemies. Therefore, you should use the classic tank-healer-damage dealer formation in all parties. 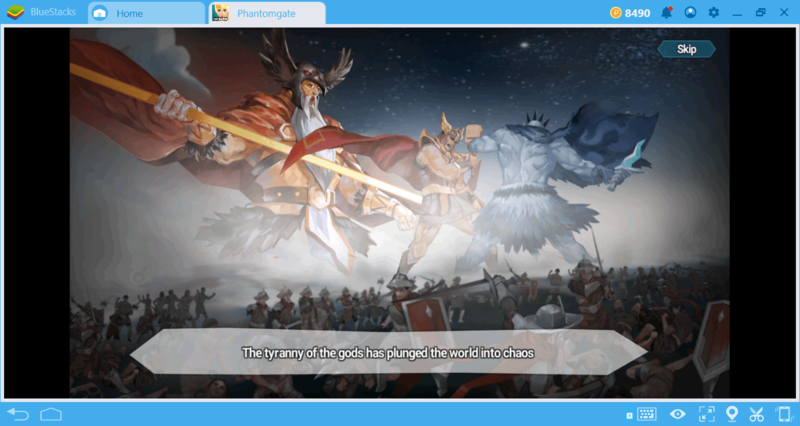 This is also the reason why the main hero is decisive: If the main hero has taken one of the roles above, the other party members must be determined accordingly. Astrid, for example, is a melee damage dealer. You can also see the same icons in the list of phantoms. A yellow shield symbol indicates that the character is a tank. A red or yellow dagger symbol indicates that the character is a melee damage dealer. A green heart symbol indicates that the character is a healer. The yellow or red scepter symbol indicates that the character is a ranged damage dealer. In other words, when creating new phantoms, you can see in advance what role they can take. You have to make your choices accordingly: If you need tanks, do not waste time creating damage dealer phantoms. The Healers must always be your first target. Otherwise, they can heal enemies. 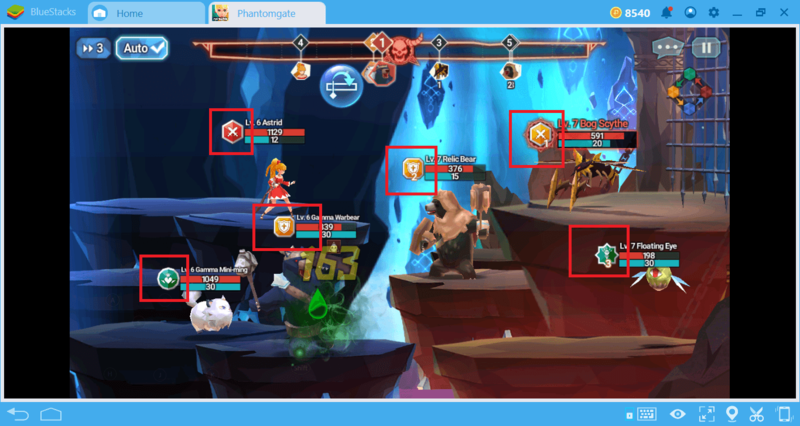 After the Healers, you should focus on ranged damage dealers. Their attack power is quite high. Melee damage dealers must be your third target. Tanks should be your last target. Remember that you have an advantage in this context: Your enemies always attack your tank first and cannot, for example, “think” of attacking the healer instead. So as long as your tank is alive, you can win all battles (even if they last long). You can turn this tip into a tactic: If you are about to enter a particularly challenging battle, place two healers in your party. The battle will last longer but your tank will survive longer too. 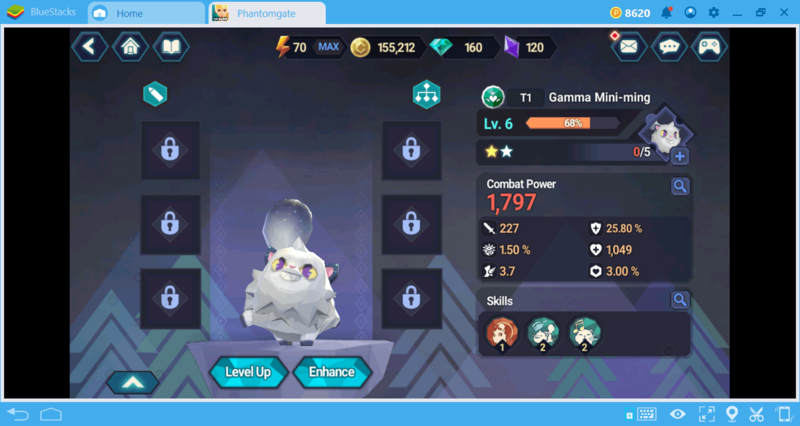 Mini-Ming is one of the best healers you can use until you complete all the chapters. At the beginning of the game, you get it free of charge. You can use the Mini-Ming as a healer for each mission in Phantomgate. Of course, do not forget to increase its level. Warbear is a tank phantom that you can get after completing the first mission and it is more than enough for this role until you reach the third chapter. 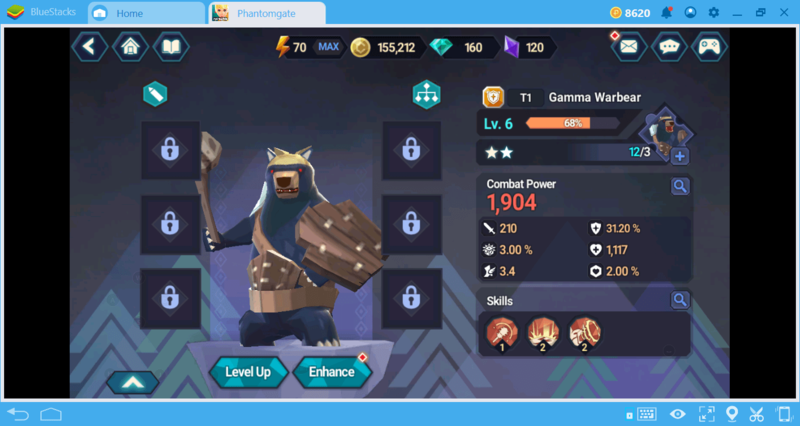 As long as you increase its level regularly, you can continue to use Warbear as your tank in the first half of the game. 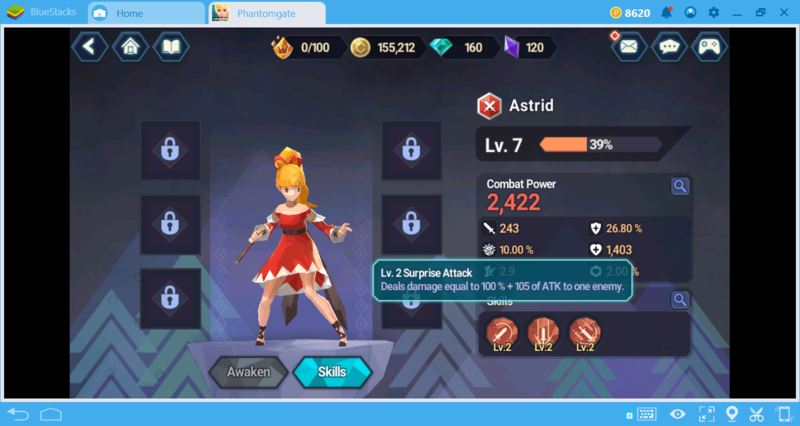 Astrid will be your melee damage dealer and has AOE skills. Therefore, a ranged damage dealer that can focus on a single target will be useful for a long time. For example, Sloth. Of course, you can choose to create a different setup, but for beginners, this sample setup will be useful for a long time. 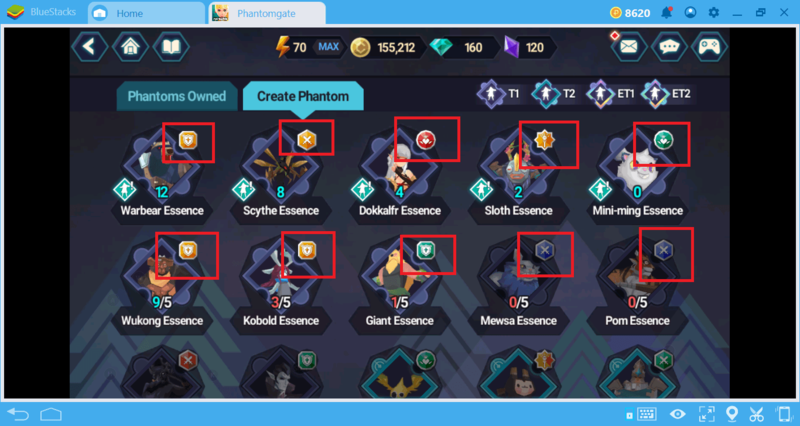 You can create your own unique team by using the information we provide in our other Phantomgate guides: Since there are hundreds of phantoms, it is possible to make many combinations. Good luck on the battlefield and may the strongest phantoms always be with you!